AMD's cryptocurrency nightmare appears to be over, as prices for the company's graphics cards have fallen back to earth. The chipmaker is now claiming that all of its R9 series GPUs are back in stock at retailers, and at normal prices. As Forbes points out, a quick check of online retailers such as Newegg shows a wide range of AMD cards available at normal prices. AMD has never directly explained the recent supply shortages and inflated prices for its high-end cards. Still, it's widely believed that miners of alternative cryptocurrency (such as Dogecoin and Litecoin) were gobbling up the supply in bulk, causing AMD's partners to jack up their prices. It's unclear exactly why demand has subsided, but a recent IRS ruling that cryptocurrency counts as taxable gross income may have helped cool the mining craze, along with the rise of hyper-efficient, mining-dedicated ASIC hardware. Whatever the cause, it's ultimately good news for PC gamers, who can now have a more realistic choice between AMD and Nvidia cards. It's probably good news for AMD as well, as the company can go back to focusing on its core audience. 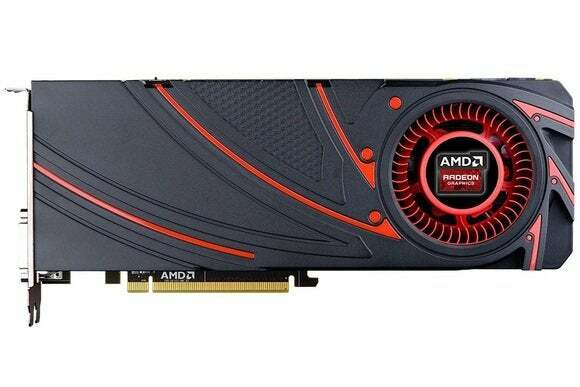 Along that line, AMD has just cut the price of its Radeon R9 280 graphics card from $279 to $249. The old price made sense while AMD's higher-tier R9 280X was suffering from inflation. Now that asking prices are back in the $299 range, there needs to be a bigger price gap to make the R9 280 worth considering. As AnandTech points out, the R9 280 still falls into the Gold tier of AMD's Never Settle bundle, so it may be worth the extra $50 over an R9 270 card if any of the free games on the list sound appealing.